What is it about the LEGO brand that sees this company’s products excite and delight the toy market 80 years on? When you read page by page of ‘Brick by Brick’ you soon learn the many lessons of how to stay an innovative market leader throughout the decades and into the digital age. It’s a fascinating read as you experience the dizzy heights of phenomenal success resulting from the Star Wars and Harry Potter themed sets of toy to the calamity of 2003 when the cracks in the LEGO empire began to show. The beauty of this read is the warts and all insight into the people behind the company, the vast array of products and the interesting reasons behind the creation of the product ranges. You are taken on a journey where every step is incredibly detailed and where it is clear that the path to success was not an easy one. Time and time again the words determination, perseverance, tenacity and failure appear. The many mistakes are analyzed and explained providing valuable learnings for the reader. One also reads of experimentation, belief and passion. The book discusses the six principle approach to innovation that worked: An aspirational mission, relentless experimentation, systems thinking, discipline and focus, the appeal of the real and of inspiring the customer/prioritizing the retailer. 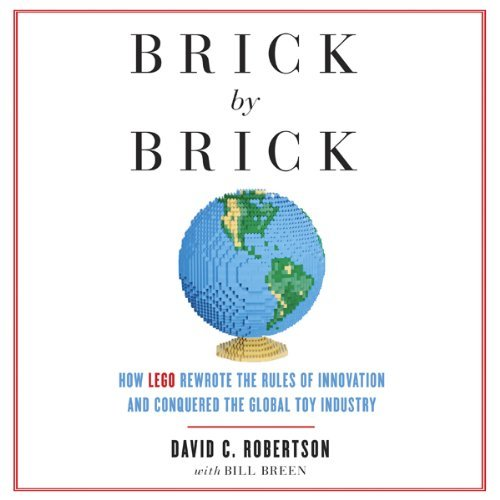 The book challenges your approach to innovation as you learn what worked and what certainly did not work for LEGO. Profitable innovation instead of run-away innovation is key and accompanying that continuous innovation becoming the norm. ‘Brick by Brick’ shares the innumerable signposts that were missed at crucial times seeing the fortunes of LEGO plummet and providing sage advice for the reader. Having offered all the insights, signposts and guidance however a crucial take-away stressed by authors, Professor of Innovation and Technology Management David Robertson and founding member of Fast Company Bill Breen, is that it is up to you to ownership and ‘make the bricks click’. About our contributor // Jacs Ford’s inquisitive nature sees her say yes to pretty much anything – a Tough Mudder, an African Safari, sailing down the Nile in a felucca and even a HTML workshop. Follow her on Twitter via @jacsford.